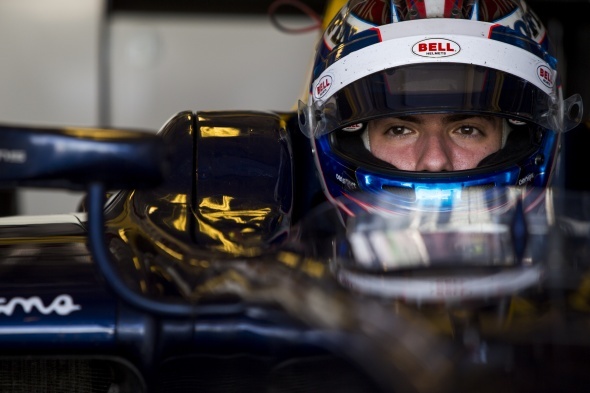 Renault has announced that it has signed GP2 youngster Nicholas Latifi as a test driver, with the Canadian set to participate in at least one free practice session for the team this season. Latifi, 20, finished 11th in last year's Formula Renault 3.5 championship and will this season tackle his first full season of GP2 for DAMS, having participated in selected rounds in 2014 and 2015. "Being named test driver for Renault is something very special - an amazing opportunity," he said. "There’s a lot of history behind the Renault name in F1, so to be a part of that, and get the chance to learn from them and gain expertise in a full factory team, is really going to help my development. "My dream has always been to reach Formula 1, and there’s a lot of hard work still to do, but this is another step towards me fulfilling my potential and earning my place on the grid." Renault also has Mercedes-affiliated Esteban Ocon on its books, while Latifi's fellow GP2 racer Oliver Rowland is part of the manufacturer's young driver scheme, along with Jack Aitken, Louis Deletraz and Kevin Jorg.